Shoes are sooo soo original! . She worked for Comme des Garcons, right? or am I confused with someone else? @Ginny: I think you have to see the shoes as you see them in the top photo. That’s how you would usually get to see them. The close-up shows an angle that almost nobody gets to see. I think they are great, very original, and very much in the Comme des Garçons style (even though they are not Comme des Garçons shoes). @Maria: Yes, you remember correctly. 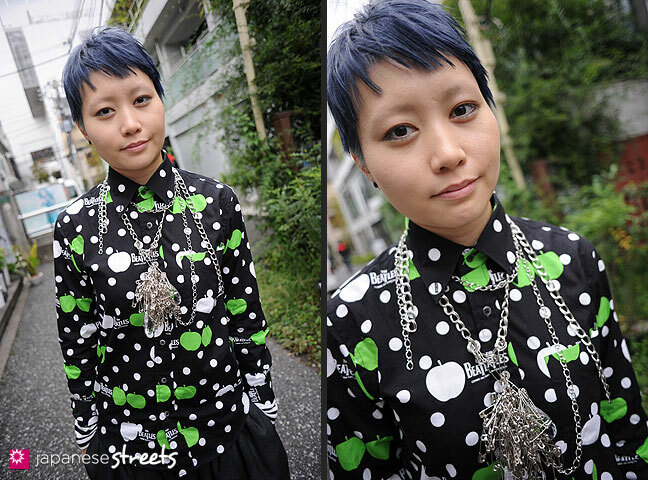 Karin works at Comme des Garçons on Omotesando. I love the shoes as well, the rough edges left outside the seams are nice touches. I love her style! Its so amazing both times! 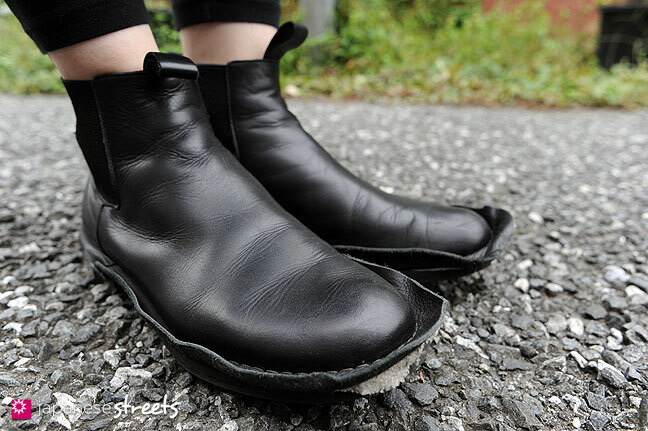 The shoes are actually my favorite part about this…And they do indeed look very Comme Des Garcons, but I’m just wondering what the actual brand really is? Yea, that’s weird. I always think its interesting when super brand specific types of people don’t know the brands of some of their clothing. I wonder if sometimes its brands that aren’t consdired to be “cool”, so they just write N/A on the info sheet! haha. @Lactose Intoler-Art: I hadn’t considered that, but you’re probably right. Especially because often when people don’t remember the brand of their shoes, they take them off and check. Karin didn’t do that. @Jango: Totally agree. Karin has a very special sensitivity to fashion.